Reuters reports No Al Gore in U.S Presidential race, saying he says he is involved in “a different kind of campaign.” Video story on Gore available. Gore has said he hasn’t ruled out making another run for president, but he doesn’t “expect” to launch a campaign. He made the comments during a visit to Australia in September, where he was promoting his film. Note they date this back to September. It isn’t clear if Gore said anything new which led to the Reuter’s report. “I think we’ll be surprised at how many people come,” Ham said as he dodged dozens of designers working to finish exhibits in time for the May 28 opening. The $27 million project, which also includes a planetarium, a special-effects theater, nature trails and a small lake, is privately funded by people who believe the Bible’s first book, Genesis, is literally true. For them, a museum showing Christian schoolchildren and skeptics alike how the earth, animals, dinosaurs and humans were created in a six-day period about 6,000 years ago — not over millions of years, as evolutionary science says — is long overdue. While foreign media and science critics have mostly come to snigger at exhibits explaining how baby dinosaurs fit on Noah’s Ark and Cain married his sister to people the earth, museum spokesman and vice-president Mark Looy said the coverage has done nothing but drum up more interest. “Mocking publicity is free publicity,” Looy said. Besides, U.S. media have been more respectful, mindful perhaps of a 2006 Gallup Poll showing almost half of Americans believe that humans did not evolve, but were created by God in their present form within the last 10,000 years. I’m happy to give them the free publicity. 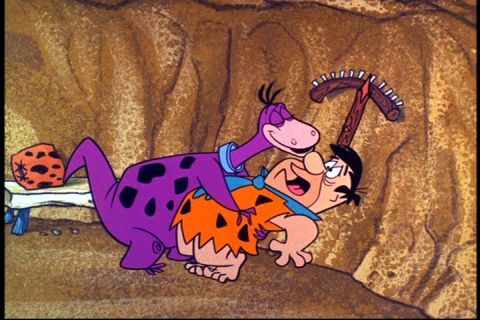 After all, everyone knows that humans and dinosaurs lived together–assuming their views were shaped by watching The Flintstones. Proponents of creationism/intelligent design often try to sound fair and open minded by advocating “teaching the controversy.” There are a couple of problems with this. First, there is no real controversy over evolution within the scientific community. Evolution is established science and is a basis of modern biology, verifed by years of research verifying predictions made by the theory. Secondly, beyond its specious attacks on evolution there isn’t anything left from intelligent design. There is no real scientific theory which can be tested. They propose no specific alternative to claim to be different from religious creationism. However, such a hypothesis need not (and should not) be presented as an “alternative to evolution” as it is described in the Truth In Science materials. Far from rejecting an agent “with the power and facility to choose between options”, this is exactly what the Theory of Evolution postulates as the agent of evolutionary change – a process of_selection_ (aka “choice”) between options. Not only is ID scientifically and theologically vacuous, it also is not ready for any peer review. I wonder if ID activists who are rooting for ‘teaching the controversy’ where expecting a form of ‘controversy’ about their own thesis… How ironically appropriate to see how ID is forced back into the shadows of our ignorance.